The boss of CERN wants the next big experiment in particle physics after the Large Hadron Collider (LHC) to be built at the Geneva lab. 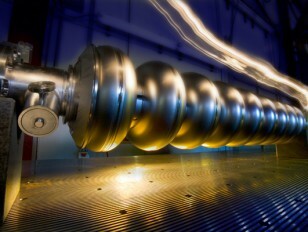 Speaking in an interview with physicsworld.com, Rolf-Dieter Heuer said that CERN should host the experiment, which would collide electrons and positrons in a linear accelerator. Although a design for the machine has not been finalized by the international particle-physics community, Heuer is keen to bring the collider to CERN.